Tanner Holden’s 31 points, coupled with J.J. Truitt’s 10, led the Pirates (17-0, 10-0 SOC II) to a lopsided win over Minford (5-11, 4-6 SOC II) Tuesday evening. The Falcons were led in scoring by Cameron Dalton with 13 points while Kelton Kelley had 12. Minford: 17 FG, 2-4 FT, 3 3pt. (Kelley 1, Dalton 1). Scoring: Dalton 13, Kelley 12, Jordan 7, McCormick 4, Crank 3. Wheelersburg: 29 FG, 8-13 FT, 9 3pt. (Holden 3). Scoring: Holden 31, Truitt 10, Mullins 7, Clevenger 7, T. Salyers 6, J. Salyers 6, Miller 4, McCorkle 2, Darnell 2. 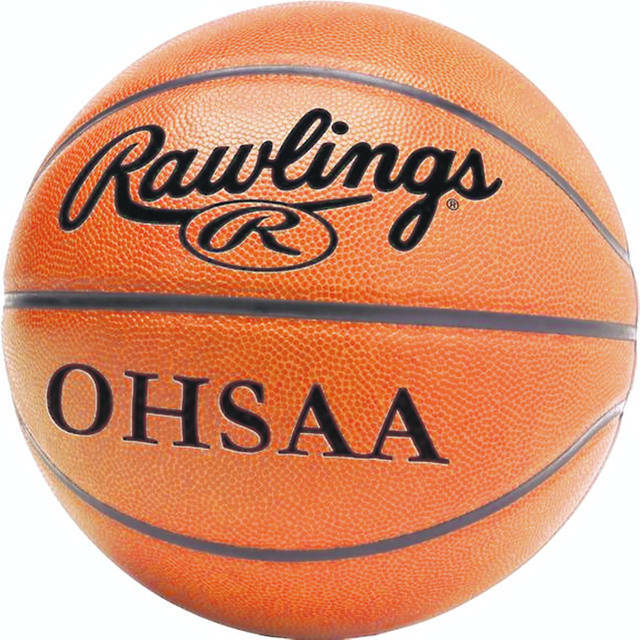 The Bobcats (11-6) ended Tuesday’s game on a 35-8 run en route to a 74-57 come-from-behind victory over Ironton St. Joe. Leading the way was Tanner Kimbler, who scored 33 points alongside four 3-point field goals while Gage Sampson added 19 points. Tayte Carver also reached double-digit scoring figures, finishing the night with 13. Green: 26 FG, 18-25 FT, 4 3pt. (Kimbler 4). Scoring: Kimbler 33, Sampson 19, Carver 13, Z. Huffman 5, E. Huffman 2, Blizzard 2. Ironton St. Joe: 19 FG, 11-14 FT, 8 3pt. (Roach 5). Scoring: Roach 26, Damron 11, Whaley 8, Sheridan 6, Rowe 3, Mahlmeister 3. The Western Indians (13-4, 7-3 SOC I) picked up a road non-conference win over Paint Valley 66-55 on Tuesday. Western was led in scoring by Lane Brewster who finished with a game high 25 and 10 rebounds, as well as Alex Humphrey who finished with 13 and four steals. PV: 19 FG, 5 3PT, 12/17 FT.
Notre Dame (1-14, 1-9 SOC I) to Greenup County on Tuesday in non-conference play, 49-33. The Titans were led in scoring by Ben Mader who finished with a game high 18 points. The Musketeers were led in scoring by Brady Nelson who finished with 13.